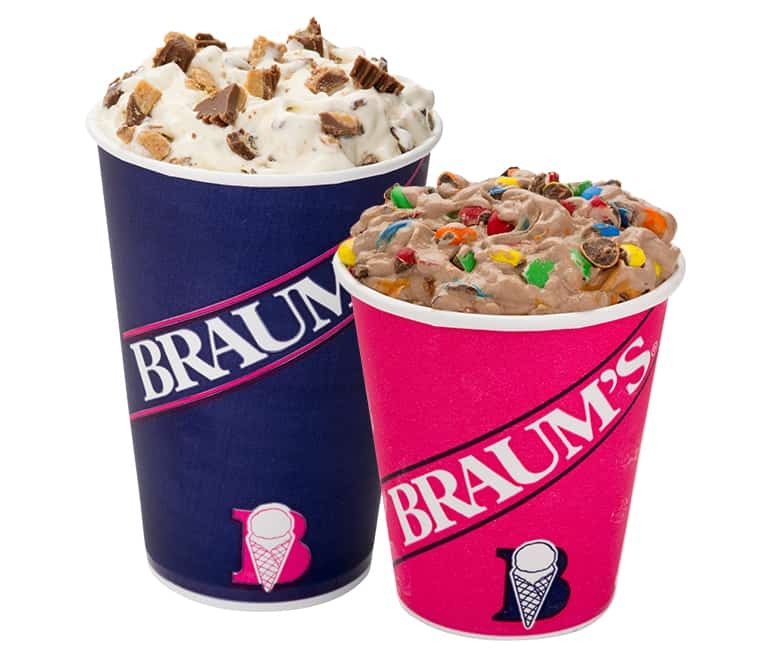 Braum’s Mixes are made from our soft serve vanilla or chocolate frozen yogurt. We add your choice of butter pecan, Butterfinger, M&Ms, Heath Candy, Oreo cookies, strawberry or cherry topping. It’s all swirled together for a sweet creamy treat you can only get at your neighborhood Braum’s!